Living a healthier lifestyle and exercising more frequently is probably one of the most common promises people make to themselves at the start of a new year. If getting into better shape is one of your 2019 goals, Puerto Vallarta has a lot of options to help get you on your way. Here are a few you may want to consider. Pilates: this a fantastic full-body workout for people who want to focus on core strength, balance and flexibility and is a perfect option for any age, fitness level or people who have physical challenges or injuries that need special attention. For private lessons, consider Marcelo Mico Pilates which has two locations, one in Marina Vallarta and one in Amapas, or for group lessons, try NACER Studio located in Plaza Peninsula in the Hotel Zone. Zumba: hate working out but love to dance? Zumba may be the perfect workout for you and will help you look amazing on the dance floor at one of Puerto Vallarta’s salsa clubs as an added benefit! There are several excellent Zumba instructors in the Vallarta area, but Efren Muñoz is an experienced, bilingual teacher who teaches classes in Nuevo Vallarta, the Los Mangos Library and on Rio Cuale Island in Old Town Puerto Vallarta, making his classes convenient no matter where you live in the Banderas Bay region. 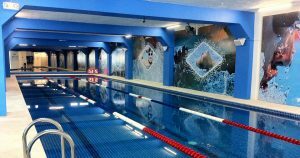 Swimming: another low-impact option, swimming is a great workout and ViveFit Fitness + Swimming has a full range of group and private classes for all levels in their beautiful facility on Francisco Villa, located near the stadium. They also offer several other fitness classes including Spinning, Crossfit, GAP and more and have an on-site nutritionist, making this an ideal one-stop option for total wellness. But of course, the most convenient way to stick to a workout plan is to have a fitness facility located within your own home. Contact me today for Puerto Vallarta condo listings in residential buildings which include full, modern gym facilities and improve both the health of your body and your real estate portfolio at the same time!